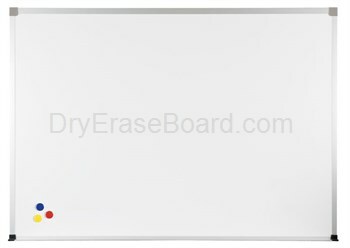 For a simply designed, low-priced PVC-coated steel marker board, we have the Magne-Rite standard aluminum dry erase board. This advanced surface provides clearer writing, better color contrast and clean erasures with no ghosting. 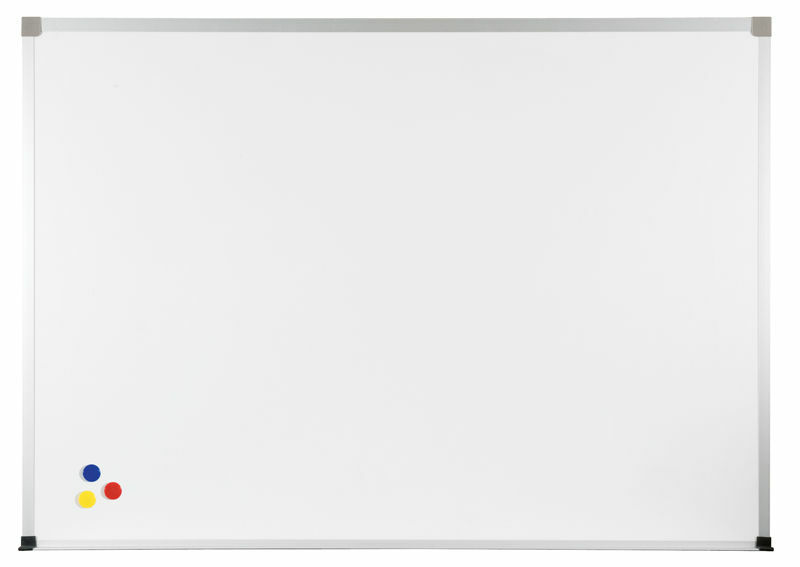 Because it's a magnetic surface, this dry erase board also doubles as a bulletin board. This style features the standard aluminum trim. The Magne-Rite board is also available in a deluxe model. A main benefit of this basic design is that it has a contemporary look and a low profile that blends in perfectly with many different types of décor. It can be used in classrooms, offices, boardrooms, company training rooms and many other locations. For more information about this Magne-Rite dry erase board and for product comparisons with our other marker board models, call our knowledgeable customer service team at 800-805-0407. They are can be reached by email.